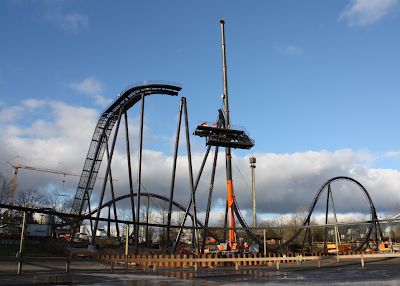 Heide Park's new B&M Dive coaster has finished track construction, and boy that was fast. 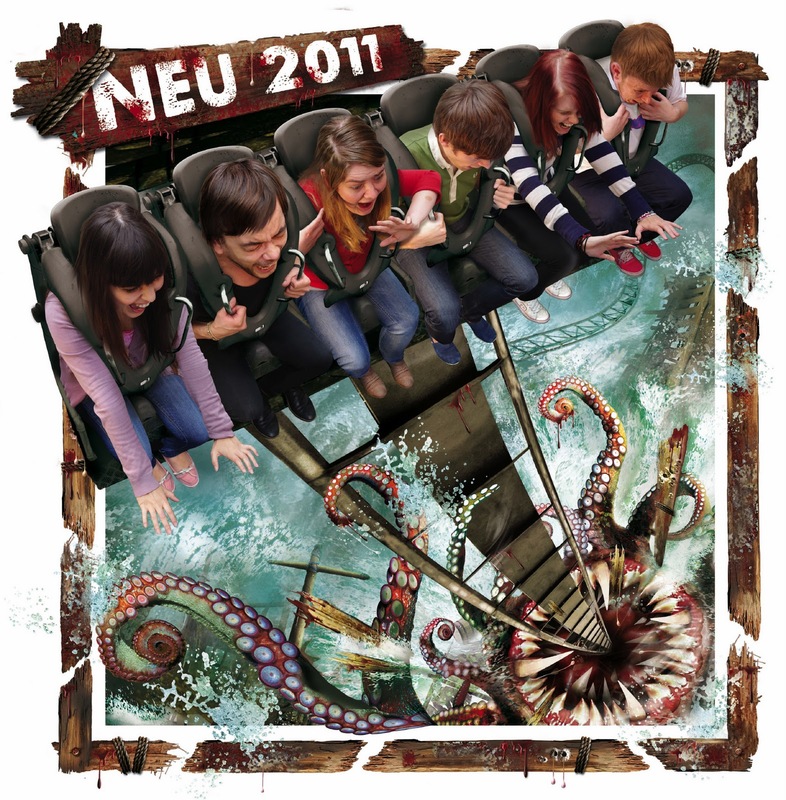 Then again, the ride is pretty short, consisting of the lift, drop, Immelman, camel back, turn and brakes. And if that nasty beast is really waiting at the bottom of the first drop then this ride's going to be pretty slick. Hopefully the art doesn't paint a picture that the park can't live up to, but I have a feeling they're going to do all out on theming this one.